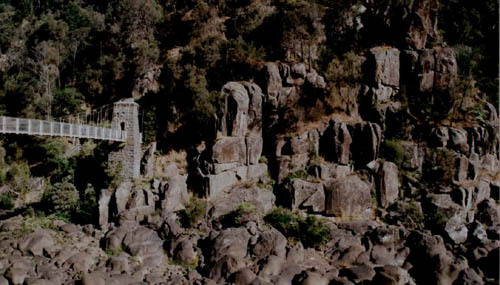 Cataract Gorge is right near the heart of the northern Tasmanian town of Launceston and this relative easy walk around the Gorge can range from 30min to 2 hours. The best part of the walk is to enjoy the highly sophisticated rock formation along the walking track. 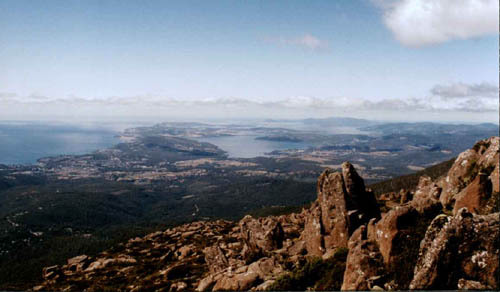 Mt Wellington (approx 1270m) is about 15min car ride east from Hobart, the capital of Tasmania. 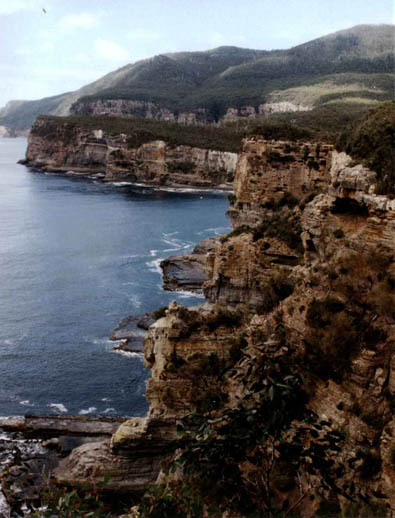 The area is now classified as a national park area and numerous walking track are available. However, the weather can be quite misty and cold for most of the year. 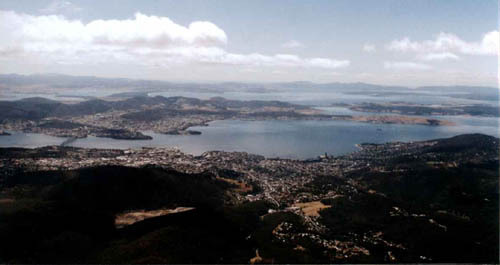 Nonetheless, on a nice clear day, it does offer spectacular view of the south east and east of Tasmania. It is also interesting to note that many pinnacles are created by a lot of wearing down from one lump into sharp but vertical pieces as seen in the following photos. 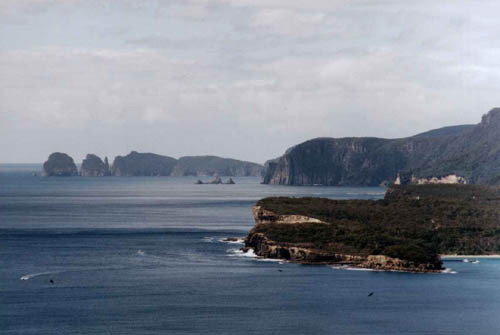 Around Eaglehawk Neck, you can really experience the power of the southern Ocean. The sound of wavebreaking on large rocks will indeed make you realize how small we are in comparison to nature. 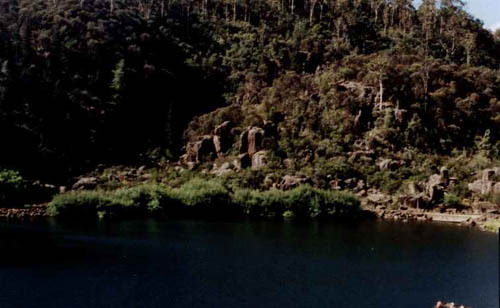 The layer of erosion also clearly shows the variation in water level in various age in the left hand bottom of this photo. Years on erosion can indeed turn rocks into smooth pavement, not dissimilar to those you seen in the middle of the city. 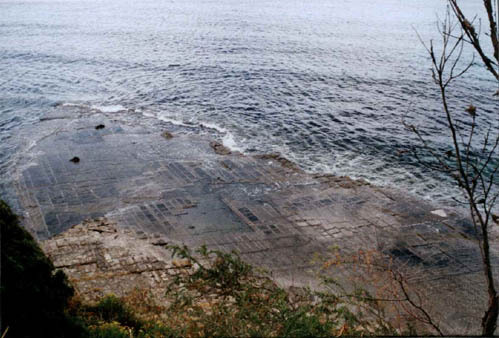 In here, this is better known as the Tesselated Pavement, around the area. 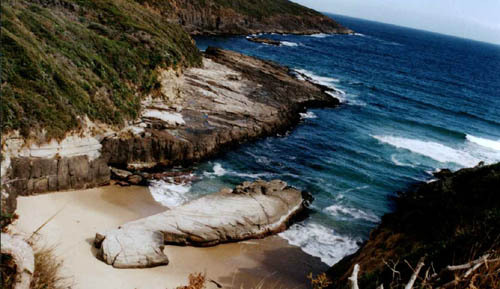 More interesting scenaries can also be found just south of Port Arthur near the Remarkable Cave. Does it look like a drying fish on the beach to you?